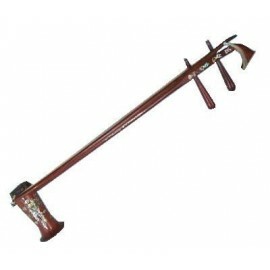 Chordophone from the Muong ethnic minority. The sound box is open on both sides, although one of these is covered by a layer of python skin. The two strings are tuned in fourths or fifths, depending on the musical style that is to be played. Besides the afore-mentioned strings, which are tuned from the upper end of the neck using the pegs, there is another movable string which pulls the other two to the neck and which is called “string adjuster” because it is used to adjust the sound. Moving the string adjuster downwards the strings get shorter causing a higher sound and vice-versa. 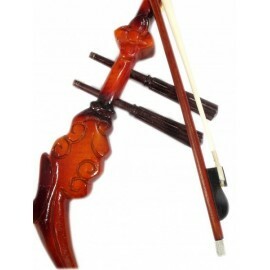 The bow is made of twisted bamboo and a group of pandanus fibres or bamboo threads which are “trapped” between the two strings. 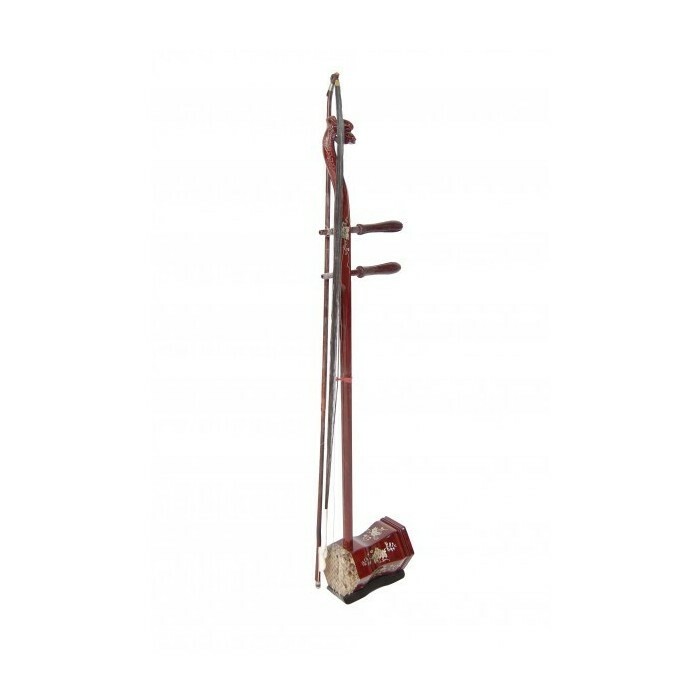 The bow is played with the right hand and allows the performance of techniques such as the vibrato or the staccato. 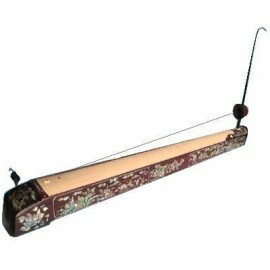 Meanwhile, the strings can be used by the left hand for accents or techniques such as the vibrato, the glissando, and the appoggiatura.